I’ve been meaning to try this eyeliner for years and I finally got my hands on it! I bought it from YesStylefor £11.90. Dolly Wink from KOJI is a deep, dazzling black eyeliner with an ultra fine, yet flexible tip for ease and precise application. Waterproof and sweat proof, the liquid eyeliner comes with a quick dry formula to prevent smudges and smears. Long wearing and with an intense shade, eyes are enhanced and defined for hours on end, without need of touch-ups. The packaging is cute and pink. The pen itself is pink with a black top. I think it has a small ball inside the pen to aid in distribution of the product. The tip of the eyeliner is made of many tiny fibres which have been tapered to a very fine tip. 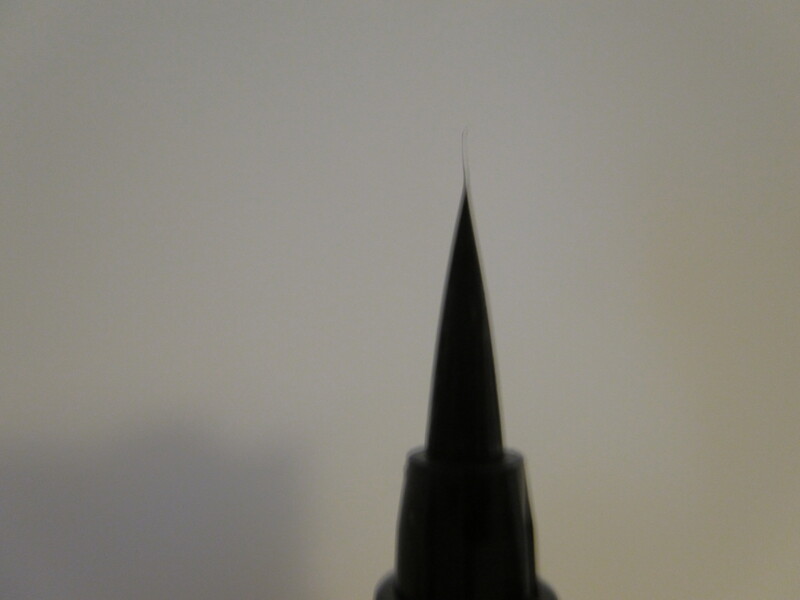 This allows the pen to be very flexible and get close to the lashes, whilst maintaining the shape of the tip. The eyeliner applies extremely smoothly but the colour isn’t as black or dark as I would have liked it to be. You need to apply quite a few layers to achieve an opaque black line which can be time consuming. The formula is very light weight and comfortable and it isn’t drying so it doesn’t clump at all. The finish is semi matte. I’ve got very oily lids, so after 4 hours I saw a tiny bit of smudging under my eyes which wiped away very easily. 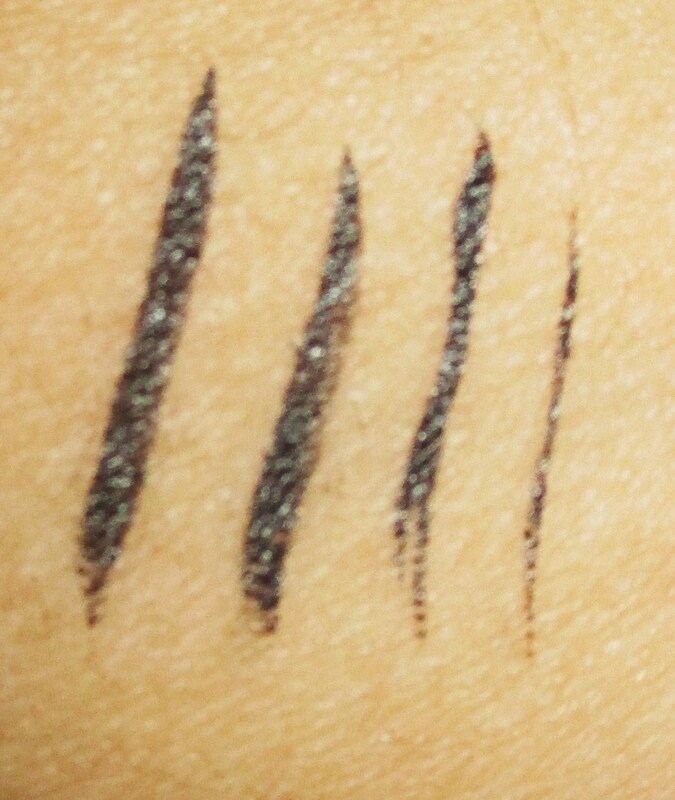 There was a tiny bit of fading over the 12 hours but overall the line stayed pretty solid and performs better than any other liquid eyeliner I’ve used before. Removal of this eyeliner was the best part for me. I’m not a fan of tugging at my eyelids to remove long-wear make-up, but this literally comes off with a wipe of hot water! 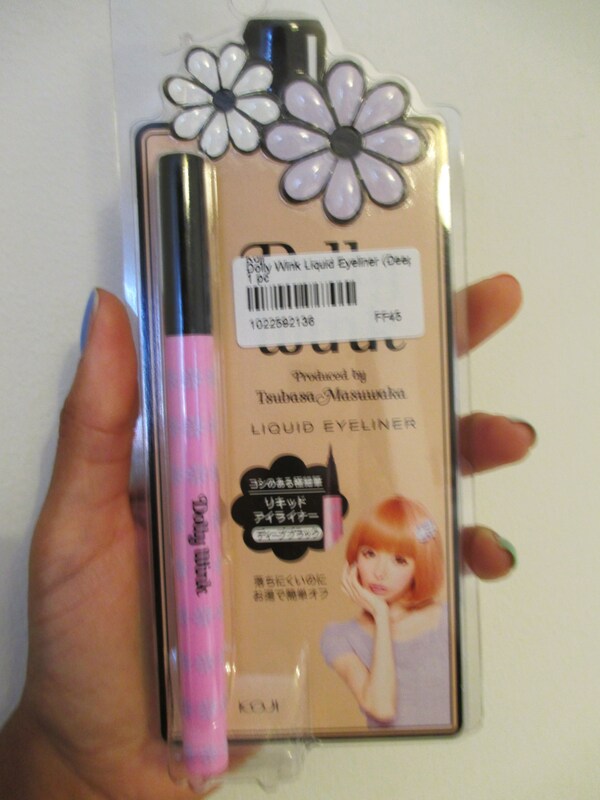 I really like this eyeliner as an everyday day product and I will probably buy it again. It is long wearing, light-weight, gives a polished look and removes very easily. The only down side was the lack of intensity of the colour but I think I’ll use this more for when I just want to line my lashes with a thin line instead of when I want to do a full cat-eye liner. Thanks for reading 🙂 Following now!